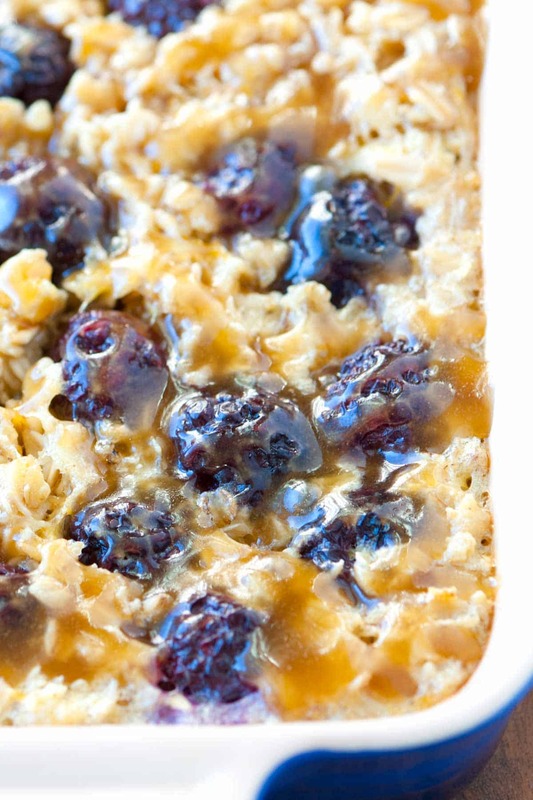 Enjoy this baked oatmeal with fresh blackberries and caramel sauce for breakfast or even for dessert. 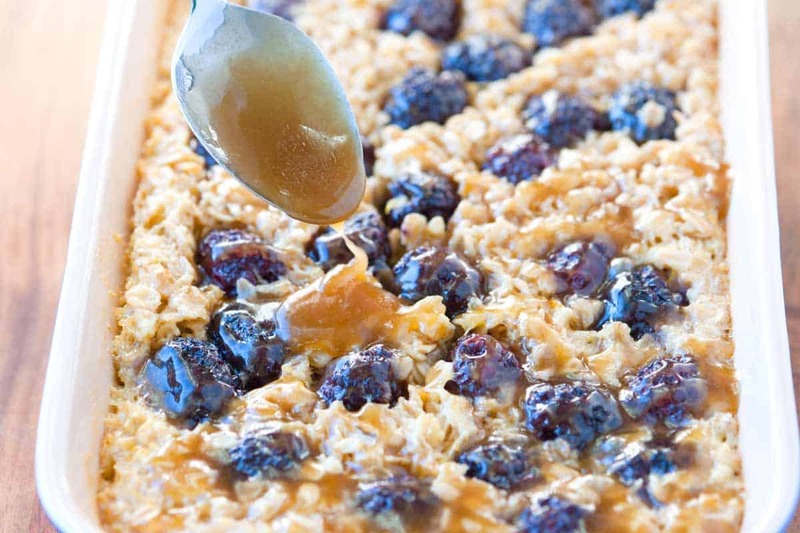 Jump to the Blackberry Baked Oatmeal Recipe with Caramel Sauce or read on to see our tips for making it. When we saw how popular our Baked Oatmeal with Strawberries, Banana and Chocolate was, we just had to make another one. This time, we added lemon zest, juicy blackberries and a quick caramel sauce on top. 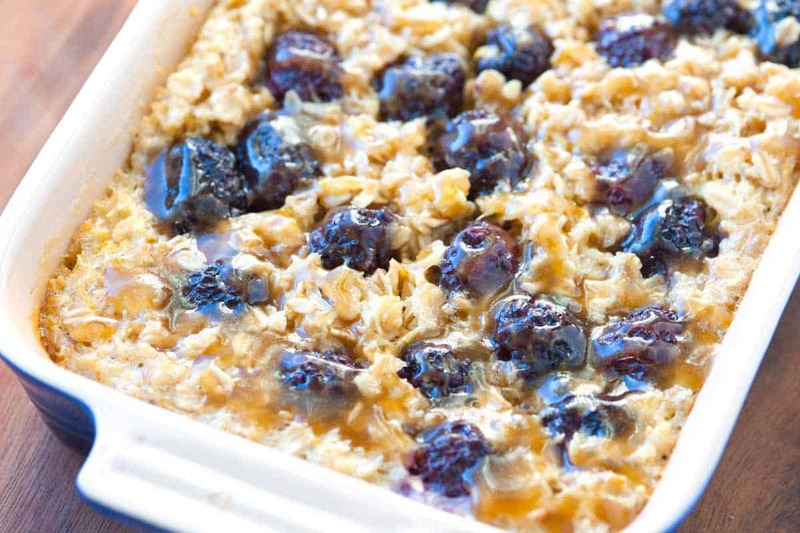 This baked oatmeal recipe is simple. 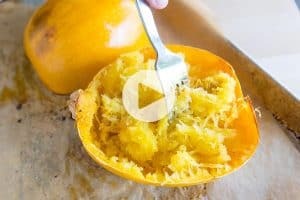 Start by stirring the oats, brown sugar, lemon zest, baking powder, nutmeg and salt together. 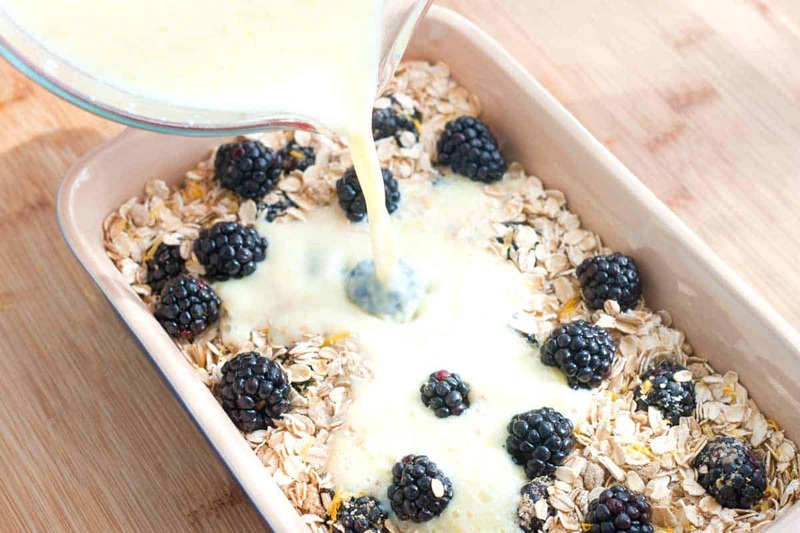 Add half of the oat mixture to a baking dish then top with a few blackberries. Then layer the remaining oat mixture and blackberries on top of that. Next combine the milk, butter, vanilla extract and egg and pour over the oat mixture and blackberries. Bake for 35 to 40 minutes until the top is nicely golden brown and the milk mixture has set. Then serve warm topped with caramel sauce! Baked oatmeal is perfect when serving a crowd for breakfast. 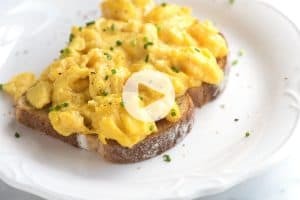 You can bake this the night before and reheat in the morning for an easy and impressive breakfast. If making ahead, wait to make the sauce until ready to serve. Replace blackberries with blueberries or other berry. If you would prefer to not make your own caramel sauce, this is perfectly delicious with a drizzle of store-bought sauce, honey or maple syrup. Heat oven to 375 degrees F and generously spray the inside of a 2-quart baking dish with cooking spray and place on a baking sheet. 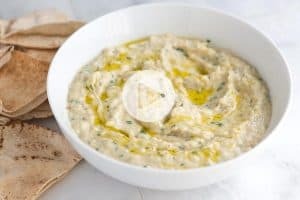 In a large bowl, mix together the oats, sugar, baking powder, lemon zest, nutmeg and salt. Add half of the oat mixture to prepared baking dish. Arrange half of the blackberries on top. Then add the second half of the oatmeal and top with the remaining blackberries. In another bowl, whisk together the milk, egg, melted butter and vanilla extract. Gently shimmy/shake the baking dish to help the milk mixture go throughout the oats. Bake 35 to 40 minutes or until the top is nicely golden brown and the milk mixture has set. Before serving, make the caramel sauce by melting butter in a small saucepan over medium heat then add brown sugar. Cook while stirring until the sugar dissolves. Add water, stir, and then drizzle over oatmeal. You can make this oatmeal the night before cooking. Some readers have tried freezing: After mixing everything together the oatmeal is covered tightly or poured into resealable plastic bags and frozen. Then, when you want to bake the oatmeal, just take it out of the freezer, thaw and bake as directed. If you do this, we just suggest that the fruit is mixed into the oatmeal, not placed on top if you decide to freeze. Could I use apples instead of blackberries? Yes, that would be delicious. 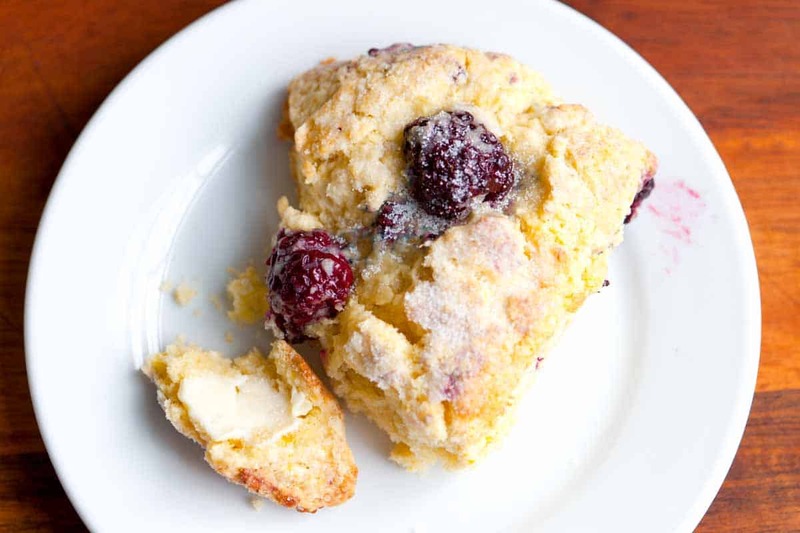 I have wild berries growing in the backyard so I’ve found myself up to my eyeballs in blackberries the last couple weeks and this has to be one of my favorite recipes so far! 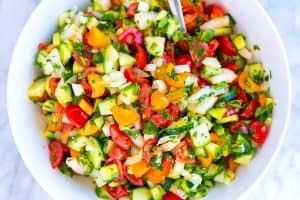 Such a simple recipe, easy to make ahead and I can make a batch large enough to leave leftovers for my husband for breakfast. Anything that helps me from having to wake up at 3am to cook breakfast is nothing short of amazing. This was so delicious! I tried the Strawberry & Banana oatmeal last week and looovvveed it. Made this tonight to bring to work tomorrow. Soooooooooooooo gooood. I mixed this up with blueberries and strawberries in addition to the blackberries since I had all 3 in my fridge and they were all on the verge of going bad in a couple days. Berry oatmeal with caramel sauce. Aahhh!. I finally have a reason to get up in the morning. In regards to leftovers, is this any good re-heated? Yep! The sauce will absorb into the oatmeal when warm, but still tastes good when re-heated.